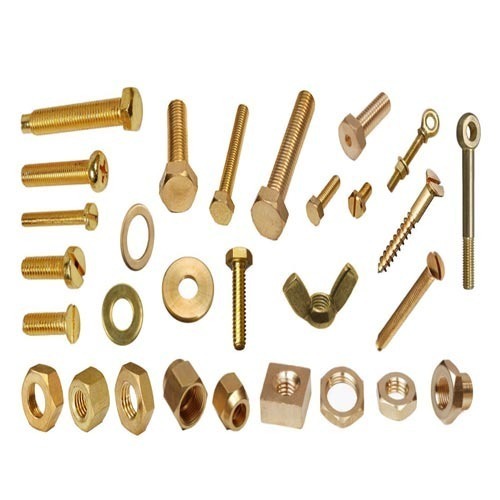 Having years of experience in this domain, we have been able to fabricate and supply a vast array of Brass Fasteners. These fasteners are manufactured under the guidance of our adept professionals who make use of premium grade materials and technology in the manufacturing process. Further, we follow international marker standards while fabricating these fasteners so as to meet preferred needs of the customers. Incepted in the year 1970, Raj Plastic Products, is one of the leading manufacturers, supplier and exporter of this highly commendable range of Brass Electrical Equipment. Making of this range is done, following the set industry norms and guidelines, utilizing the finest raw materials and modern machines. This ensures the product’s performance and longer service life. The offered range comprises highly acclaimed and asked for products like Brass Electrical Products, Brass Neutral Links and Brass Electronic Parts. In addition to this, the offered range is known to be marked at the most reasonable rate possible. The highly advanced state-of-the-art infrastructural facility, laced with all the necessary machinery and equipment, help us in the attainment of several of the firm’s predefined objectives and goals. The facility parted into several highly operational units, helps us attain smoother and effective management of the firm’s operations. To maximize the firm’s production capacity and to boost our reach in the market, the facility is regularly upgraded. In addition to this, our highly ethical working habits have helped us generate a huge client base. We are exporting our product in Europe, Germany, dubai, South Country.